If no images are showing, please click the link on the left to allow. A Newsletter for the 4,389 alumni across the globe in 130 countries/territories. Enjoying the wonderful International House of Japan, IUJ Alumni Bonenkai attracted about 70 alumni spanning from class of 1987 grads to 2018 graduates. Some traveled far distances (NYC, India, Philippines and Korea), and some walked over from their offices. All enjoyed an evening of IUJ videos, a welcome by Alumni Association EC Chair Inagaki-san, and heartfelt speeches from Ahmed-sensei, a campus update from Gretchen, and more. 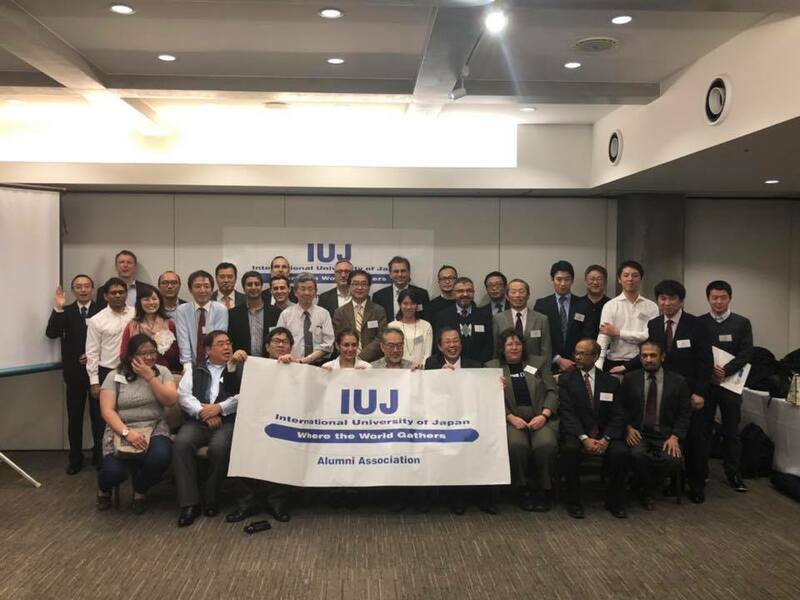 We hope to see you at the next IUJ World Wide Friday (in a city near you 9/13/2019), or Bonenkai 2019 (late November in Tokyo). 1. Teaching ICT lessons to trainees in order to pass the assessments. 2. Troubleshooting PCs and network in the center. 3. Mentoring ICT instructors as needed (Ad-hoc). 4. Managing website in collaboration with other technicians (Ad-hoc). 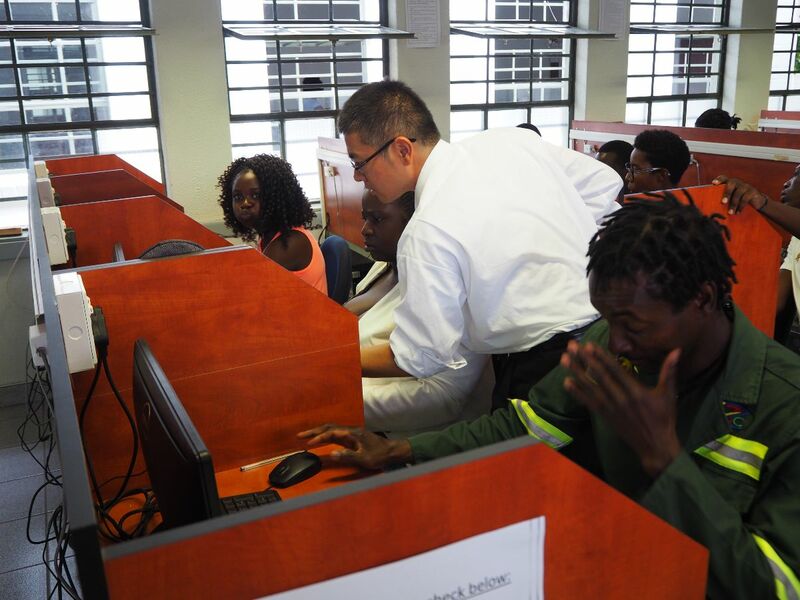 My first priority is to offer ICT lessons to trainees to help them acquire knowledge and skills. I help them prepare to pass the internal and national assessment tests and get certified in the ICT fields. My role goes beyond this to cover any problems relating to computers, servers, networks, printers. I have even been involved in translating Japanese car navigation systems into English, etc. One year and three months have already passed at the time I’m writing this. Even though I’ve been facing many differences in culture, customs, ways of thinking and behaviors and so on between Japan and Namibia, I have also been learning through local people and nature in Namibia.I hope this experience will be able to enhance my future career. Also with JICA . . .
Toru Miyaji (MBA90), retired from a long career with CASIO Computers, is working with JICA in Vanuatu as a Marketing Adviser, in the JICA Senior Volunteer Department of Industry, under the Ministry of Trades. 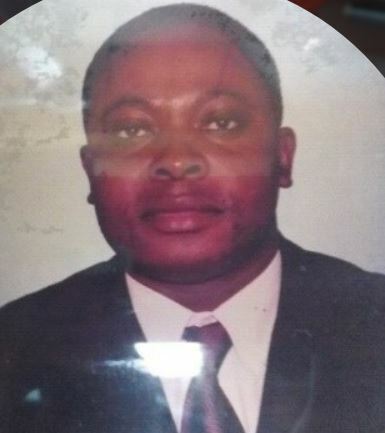 President, CEO and Founder of Bridge Strategic Consult, linking Africa to AsiaThe Bridge Strategic Consult help provide investment advisory services for investors from ASEAN countries particularly Japan, South Korea, Malaysia, Singapore, China, Taiwan, Thailand etc who want to invest in Africa. We also provide policy advice to African governments in their trade and economic transactions with ASEAN countries drawing on over 25 years of experience in the region. We know Japan, China, South Korea and the Asia Pacific better than anyone else. Your organization’s performance, development and ultimately its growth depends on talented and competent staff. The Bridge Strategic Consult help organizations and professionals worldwide with management,strategy and leadership consulting services and also design and develop training programs that help them develop world class skills and capabilities. We also provide international development expertise for multilateral donor funded projects. Budding CultureBudding Culture is a California based “digital marketing services company that helps businesses thrive in a world of constantly evolving media, technology and consumer habits.” Through social media, and direct emails, Gil’s company offers short and good advice on digital marketing strategies.Budding Culture also supports various causes through their work. Recently they had an opportunity to support University of California Irvine’s Institute for Memory Impairment and Neurological Disorder (UCI MIND) by creating a video to help spread the word about their mission—to defeat the ravages of Alzheimer’s disease. He writes “We are humbled by the opportunity to help spread the word.”Note from Editor: Ask to join Gil’s short and helpful tips emails for digital marketing solutions and considerations. 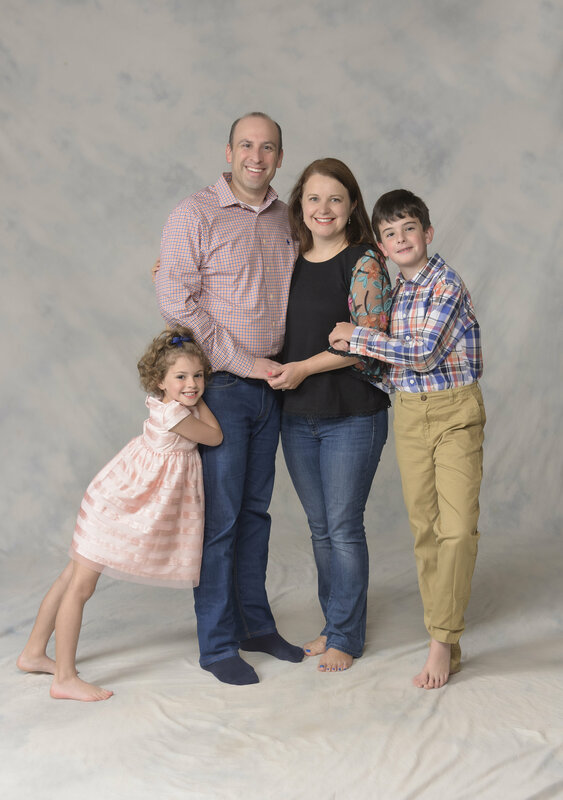 Editor’s note: Stories about IUJers working together, and with our community are my favorites. 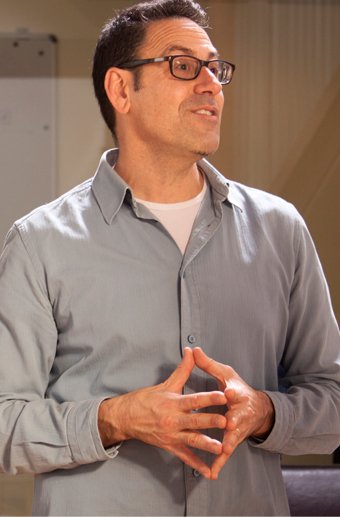 Please share your story of collaboration with me! Here are three! Today, I can share that Peschy, Phornwarin Kaiphanloet, (IR2009) is now planning to collaborate with some Niigata companies. 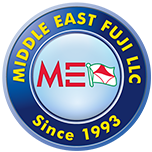 Peschy works in Dubai at Middle East Fuji International Trading L.L.C. as the business development manager. She is coordinating with some local Niigata companies, including Eco Rice and their “Japan Rice Peace Project” to bring Niigata rice products, that are also Halal certified, to the Middle East! Eco Rice, as well as MeishiToku and Gateau Senka along with local farmers are working hard to create new and friendly products for those with allergies, and those preferring Halal products. IUJ students in the Muslim Student Association are working closely with them to develop foods including traditional Japanese sweets, cakes, cookies and more! 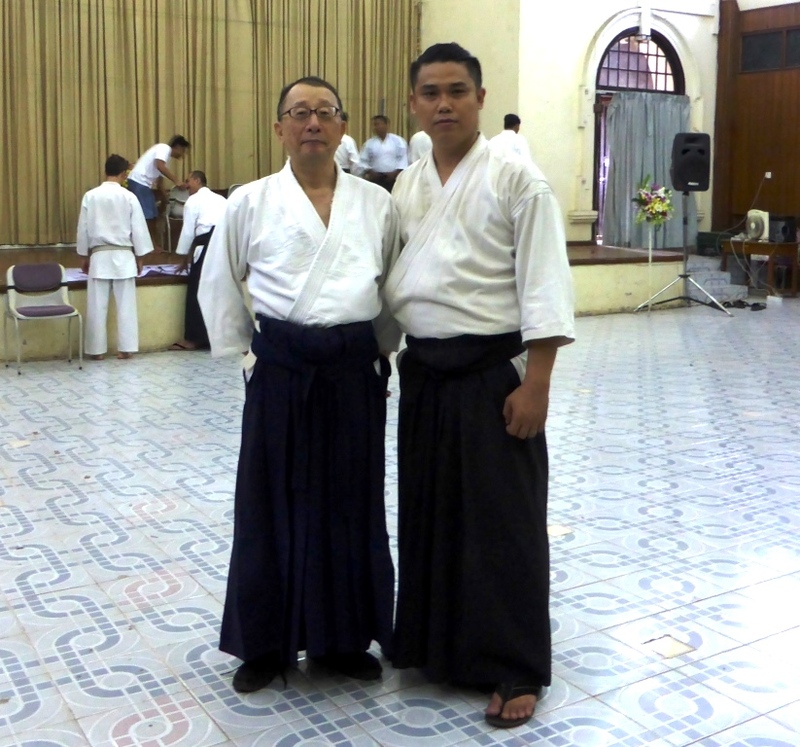 Yasumura-san (IR87) visited Myanmar and Cambodia recently, meeting up with IUJers, to explore and develop ICT projects there in collaboration with JTEC and the governments and universities, and to get in a little Aikido practice. 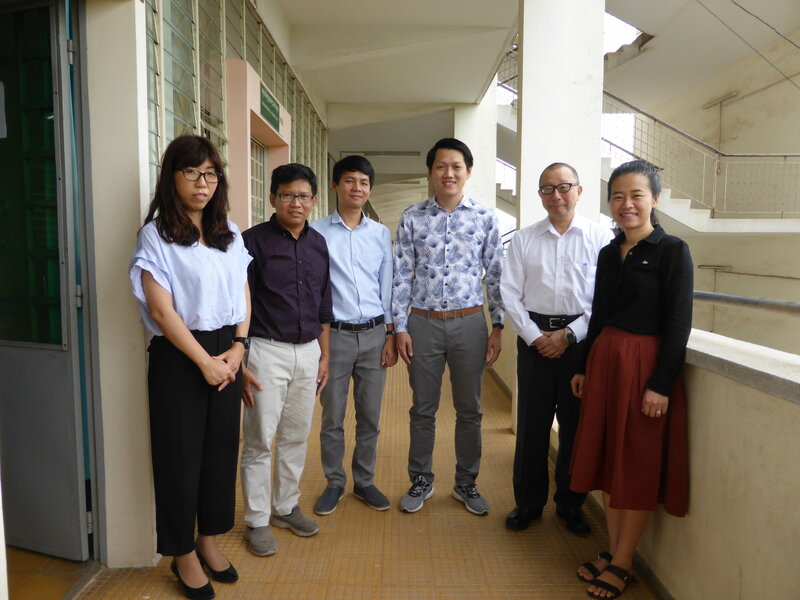 Japan Telecommunications Engineering and Consulting Service (recently retired from Fujitsu to join JTEC)In my work with JTEC, I am focusing on Cambodia and Myanmar and trying to develop ICT projects in government sectors. For example, I visited the Ministry of Posts and Telecommunication, Ministry of Education, and Ministry of Health in Cambodia. In Myanmar, where I met many IUJ graduates, I initiated the project with the University of Information Technology to support their ICT education when I was in Fujitsu.It is wonderful if I can communicate with the IUJ alumni and students to exchange ideas on how we can work with these countries and establish collaborative projects.JTEC is also going to research on the status of ICT introduction in developing countries, such as Smart City, e-Government, introduction of cloud computing, platform and services, security issues, etc. If IUJ network has good researchers in these fields, it will be highly appreciated if we can work together. We often hear people say that it is not what you know but who you know. Though there is some truth in that, I think for us, alumni of IUJ, the better version of this popular saying should be “it is not only what you know but also who you know”. The reason is because after we graduate from IUJ, we (are supposed to) have filled that “what” part with much knowledge. 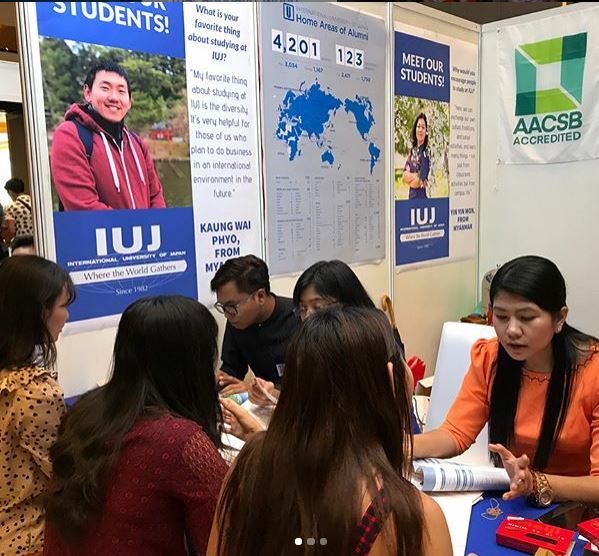 In addition to that once we are in IUJ we are connected to a very unique and powerful network of people across the world. 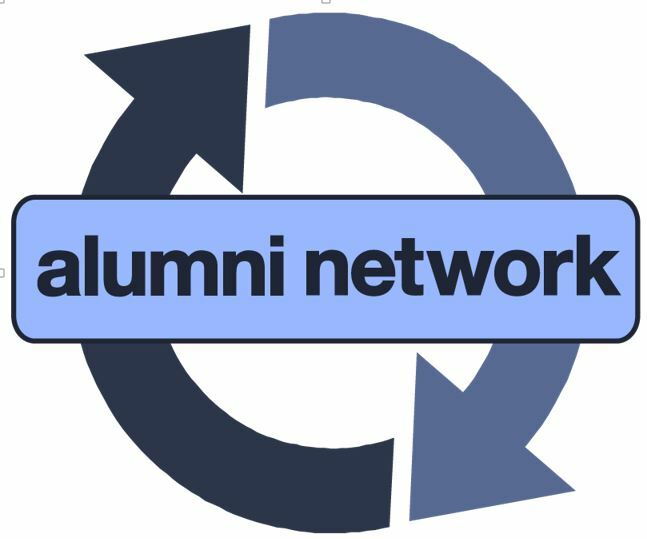 I have experienced that powerful network many times in my life since I became one of the MBA student in 2002 and became alumni in 2004. The very recent one is related with my current job at IDI Infrastructures which is a Japanese private equity firm that invests into energy related business in Japan and South East Asia. This powerful networking can be traced back to 2005 when I was working at Citigroup Japan. Working on the same project with me was a Sempai from class of 1998. Though he only stayed for a brief period, we kept in touch through such means as Linkedin, etc.. When I moved back to Indonesia at the end of 2009, I started an M&A Advisory firm in Jakarta and then in 2010, that Sempai sent me a message on Linkedin asking about my new business. At that time, he was working for a company that eventually became a shareholder of where I am working now. My company became a vendor for his company and the business relations just kept growing. What I didn’t expect at that time was that after 8 years since that first project we worked on together, I would be joining the Private Equity arm of the company here in Tokyo. Though that respectable and kind Sempai was no longer working there when I got the job, I can say that the reason I was hired was because I know him. 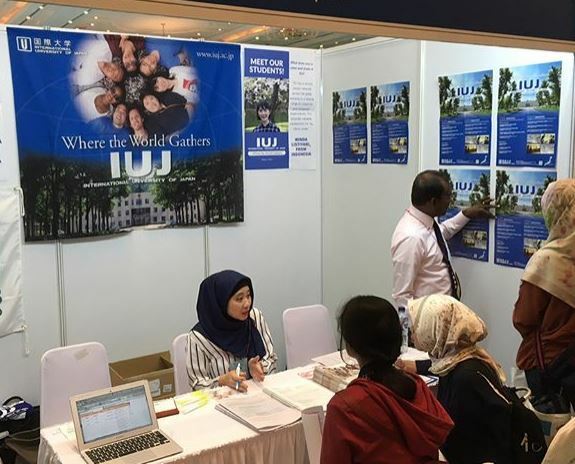 It is all because of IUJ that I could have such connection. We only have 1 piece of paper that represents our graduation from IUJ, but our IUJ connections will keep growing into thousands of people, and multiple of countries across the world. Don’t just reminisce about our time at IUJ: let’s have active contact with many people in the IUJ universe. To that respectable and kind Sempai, thank you very much always! 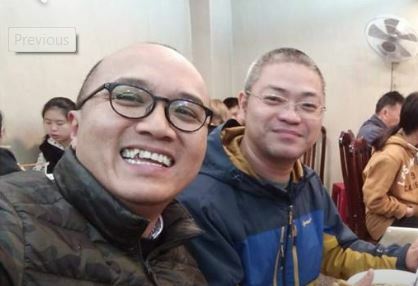 Andy practices what he preaches, and makes full use of his overseas trips to reconnect with classmates like Dung Huu Nguyen! Will you be a Mentor to a Current IUJ Student? Please contact Gretchen on campus with an update and to be matched up. 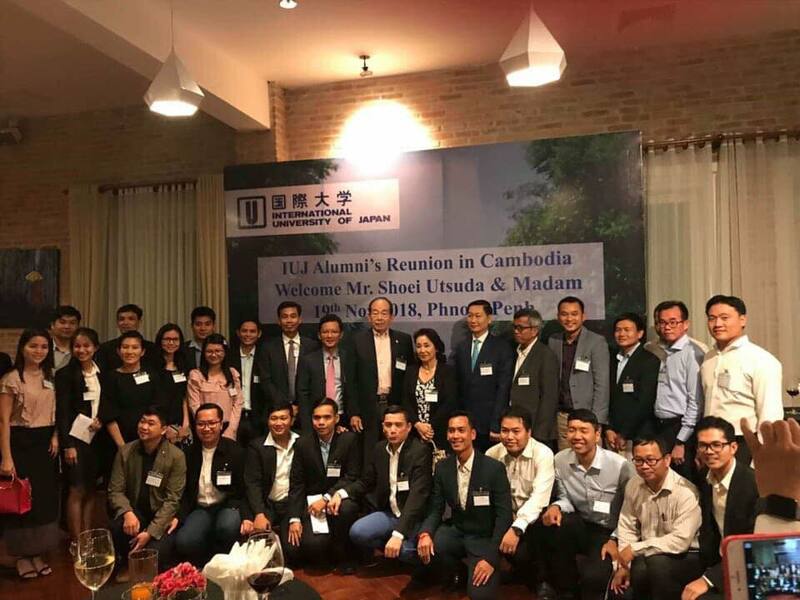 On the occasion of IUJ Chairman Utsuda’s visit to Cambodia, IUJ alumni gathered for an evening to reunite and network thanks to the kind hosting by Mitsui and Co., Phnom Penh. Many distinguished alumni gathered! Vanndy Hem kindly offered the welcome address as shared below. ‐ Ladies and GentlemenKonbanwa!It is an honor and a pleasure for me to address this distinguished assembly. As I scan the room, I see not only accomplished alumni and friends of IUJ, but I also sense the bond of friendship and solidarity illuminated at this important reunion. 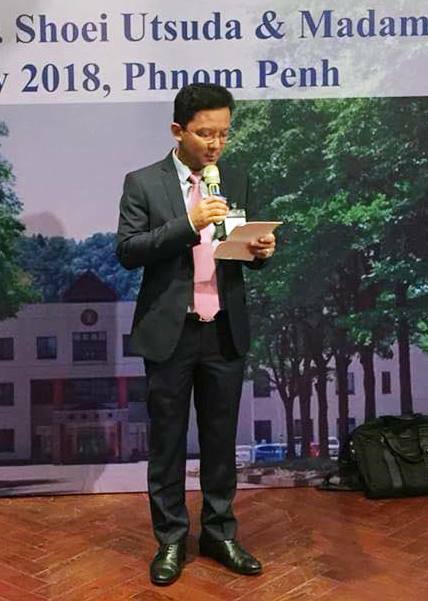 I want to thank the organizers and sponsors for organizing this much‐needed gathering.Today’s reunion demonstrates a long lasting relationship not only between our fellow alumni and IUJ, but also between Cambodia and Japan. I am proud to claim that IUJ has produced some of the finest leaders and executives for Cambodia. In 20 years’ time, we have grown from 1 to 85. 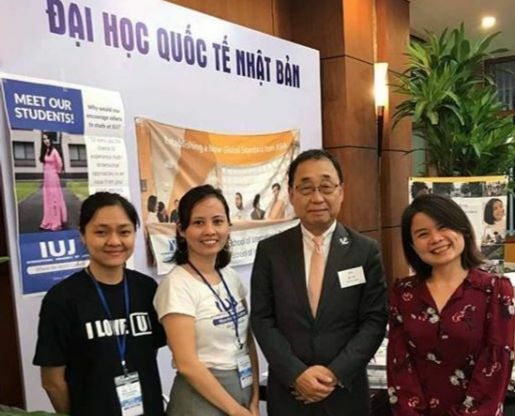 While our representation in the broader IUJ community is a mere 2%, IUJ and the Government of Japan have made notable contribution to the human resources development and transformation of Cambodia. IUJ has prepared each of us to be global leader and I trust that we remain truthful and committed to that goal. No challenge is too great, no task is too difficult, and no solution is too improbable to reach when we combine our heads and our hearts together. No hardship, not even the 2 meters of snow and freezing cold at Yukiguni could deter us from achieving our determination and aspiration. Our IUJ alumni network is like a world wide web that has unlimited resources with unwavering support. When a Japanese alumnus asked if I could help him identify and secure a reliable Cambodian supplier of pepper for import into Japan, it did not take us long before we managed to deliver the first order last month against all odds. 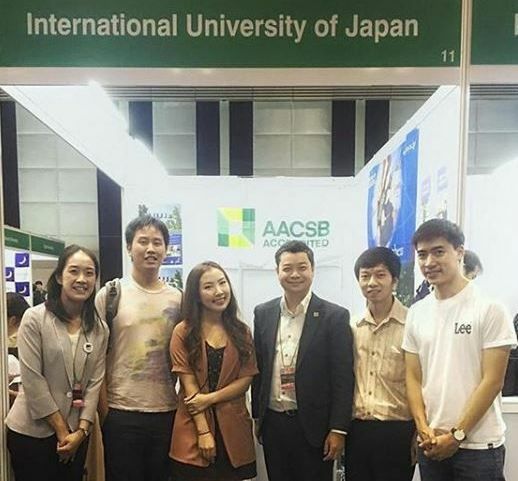 This is the power of IUJ alumni and this is just an example of how much we could achieve things together. In this regard, I call on our alumni and friends to grace this occasion with pride and confidence for we are from the same IUJ family and community, and that we share the same values and identity. Never mind our year of class or whether we know each other or not for how long, we shall treasure and cherish the power of our network and friendship for they are our indispensable currency. I hope that we could partner and help one another to better our causes, to advance our determination, and to fulfill our respective obligations as a giveback to IUJ and help make it greater. 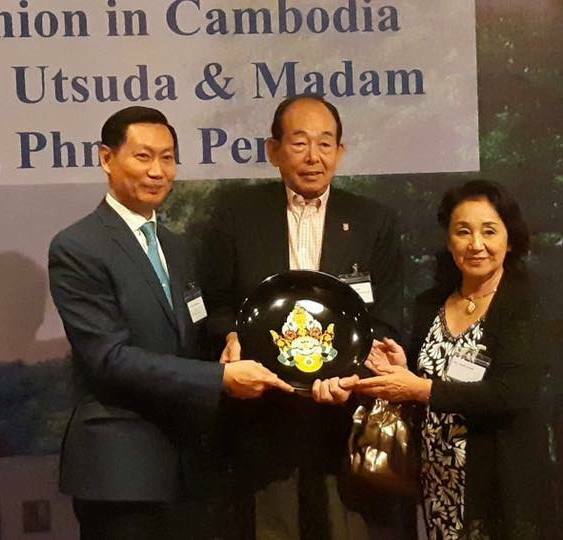 Royal Government in Charge of Managing Electricité Du Cambodge presents a gift to IUJ Chairman of the Board, Mr. Shoei Utsuda, and his wife. I know that convening this big crowd is no easy task. 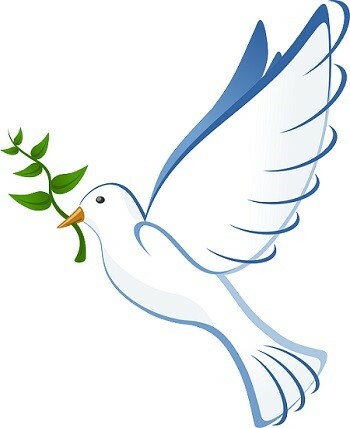 But let us pledge that we shall look out for each other to share our light moments more frequently whenever possible. Let us celebrate the many great stories of accomplishments of our alumni and let us thank IUJ founders, our dear faculty members, and all management and staff for their incredible devotion and dedication to our education. After 16 years, I can say “I really miss IUJ.” Thank you once again for having me and may I wish everyone happiness and success in all your noble endeavors. Congratulations to two 1986 graduates for their recent publications! Tin Marlar Myint (IDP2013) presented on behalf of Myanmar at the 73rd session of the United Nations General Assembly as a part of Myanmar delegation, 2018. She delivered two statements: one on Disarmament and one on the Advancement of Women. 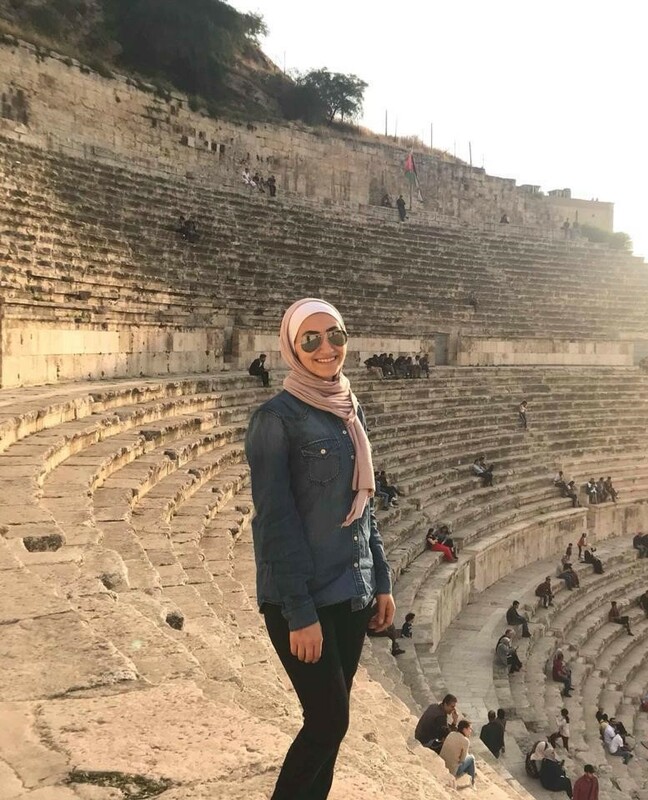 I am Khirat AlQatawneh (IR2017), a former IUJ, International Peace Studies student. Currently I work at Motivators Foundation in Amman as a project coordinator for three different projects; one with the EU Commission- Amman, and two projects with Friedrich Ebert Stiftun. These projects are focusing on public policy, political issues, social accountability, and social development in Jordan. In fact, I have utilized all the skills that I have learned during my time in IUJ to succeed in my field and to be the person who I am today. I have learned a lot from my political classes as well as the project management courses that IUJ provided for all its students. In addition to that, the IUJ team helped me to do an internship with the UNCRD in Nagoya and they prepared me to be qualified in this field after graduation and taught me how to share my knowledge with others. Thank you IUJ, my professors, and student office for everything. A new column featuring some hot news shared on various SNS channels. 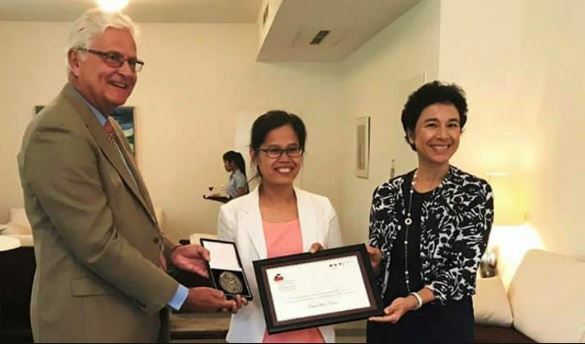 Sopheap Chack (IR2010) Executive Director of Cambodian Center for Human Rights, has been awarded and recognized in many ways over the last 2 years. Recently she has been shortlisted for the 2019 Women of the Future Awards South East Asia in the category Community Spirits and Public Service. Awards are announced in March! She was also elected as the Chairperson to the Board of Trustees for the Southeast Asian Press Alliance (SEAPA) working on Freedom of the Press in SE Asia. AND awarded the Franco-German Prize for Human Rights and the Rule of Law for 2018 (Photo). She has met with Hillary Clintion and then-President Obama . . . and the awards go on. You make us proud Sopheap! 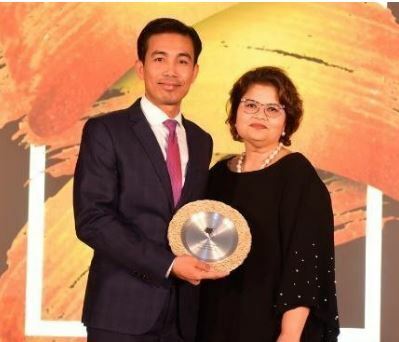 Rotha Chan (IRP07), Assistant Vice President and Chief Agency Officer (CAO) at Manulife Cambodia, received the Young Leader of the Year Award organized by the Asia Insurance Review and selected by an esteemed panel of judges. 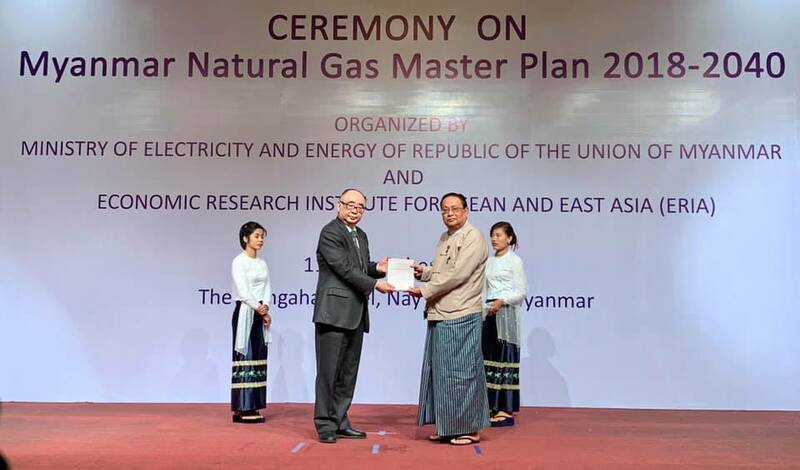 Aung Thet Paing (MBA2011), Director of Titan Power Co., Ltd. in Myanmar represented his organization, Myanmar Engineering Society (MES), at the handover meeting of a major master plan for Myanmar’s Natural Gas use. MES is closely affiliated with MOEE which will implement the plan. 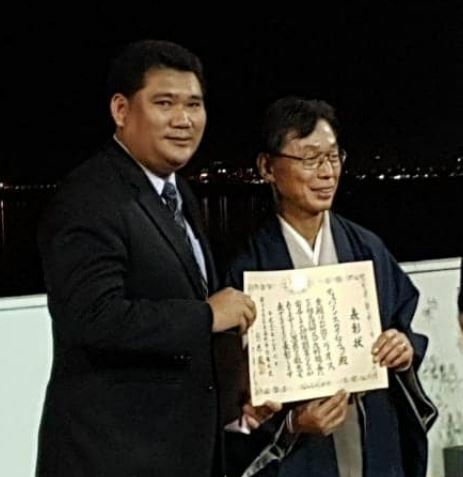 Thiphasone Soukhathammavong (IDP06) working in the Prime Minister’s office, received the Japanese Government’s Certificate of Appreciation on Laos-Japan Relationship and Cooperation. 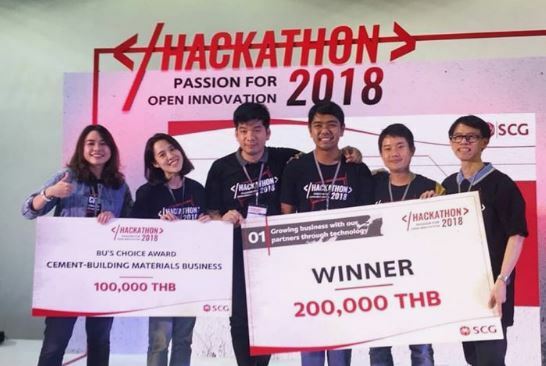 Kornkwan “Atom” Vutinuntakasame (Ebiz2018, far left) participated in a Hackathon and won! 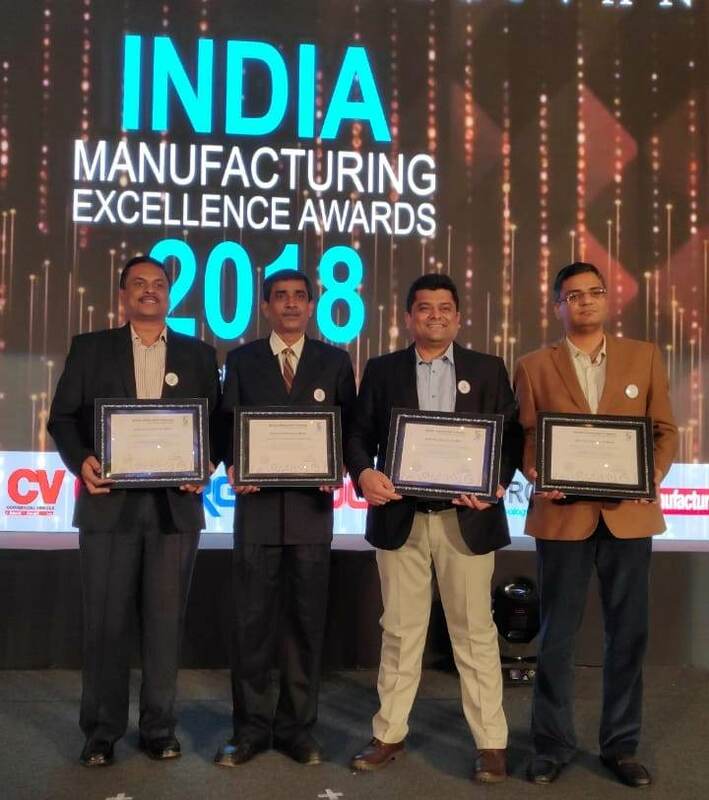 Shantanu Dayal, (MBA08), is with Hindustan Coca-Cola Beverage Private Ltd. and is the Manufacturing Excellence Manager ( MEM), where he was responsible for all the work and coordination required to achieve a Gold rating in the assessment conducted by Frost & Sullivan. 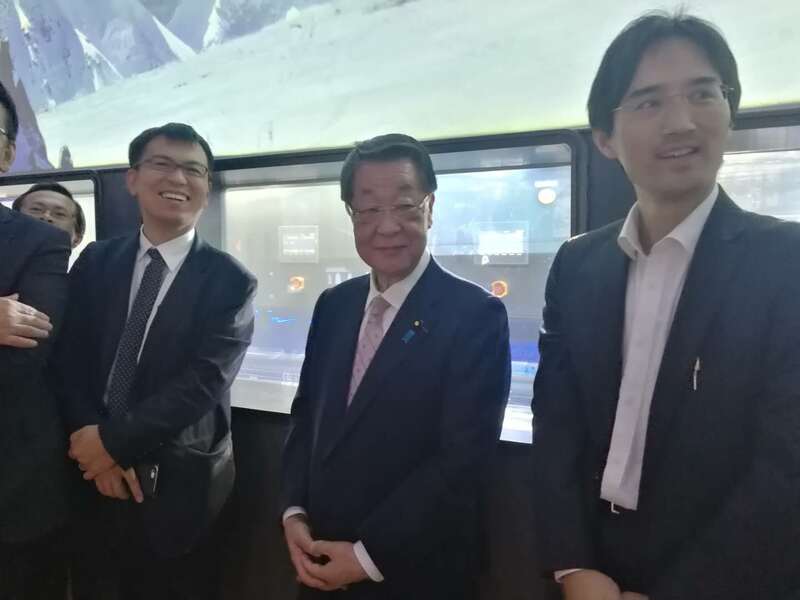 Jun Yamashita (MBA2012), in Beijing with Panasonic, recently hosted a visit from the Minister of Agriculture, Forestry and Fisheries of Japan. The International University of Japan is a special place for us, having met each other not long after arriving on campus in 1995. We later would get married, and today have two children thanks to IUJ. 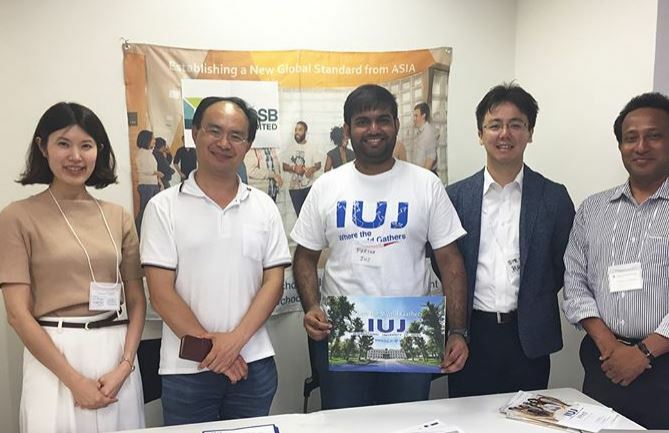 While this would be enough of a reason to remain strong supporters and financial boosters of IUJ, our connection to the University is even stronger. 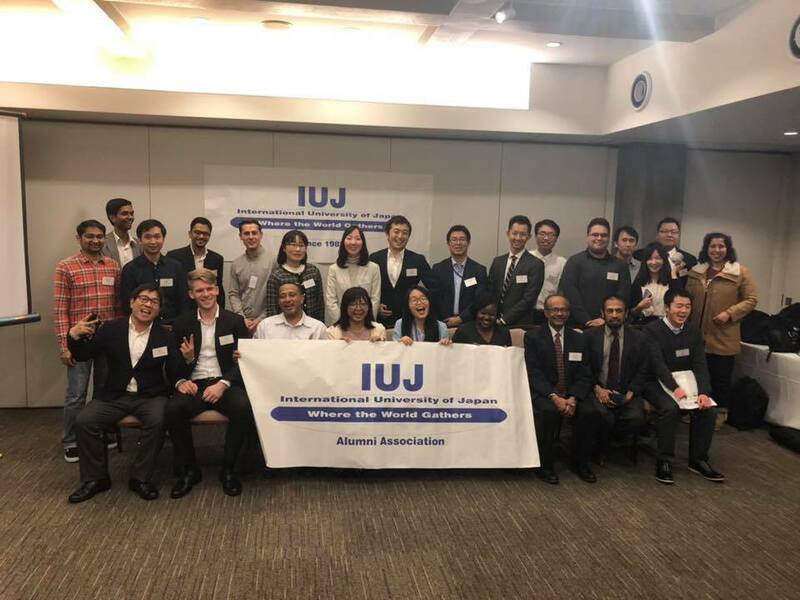 Being an IUJ alumni opens one up to an impressive global community such that no matter where in the world one travels, they are able to meet up with other alumni. Additionally, this alumni network provides an opportunity to interact with successful global leaders in business and government. 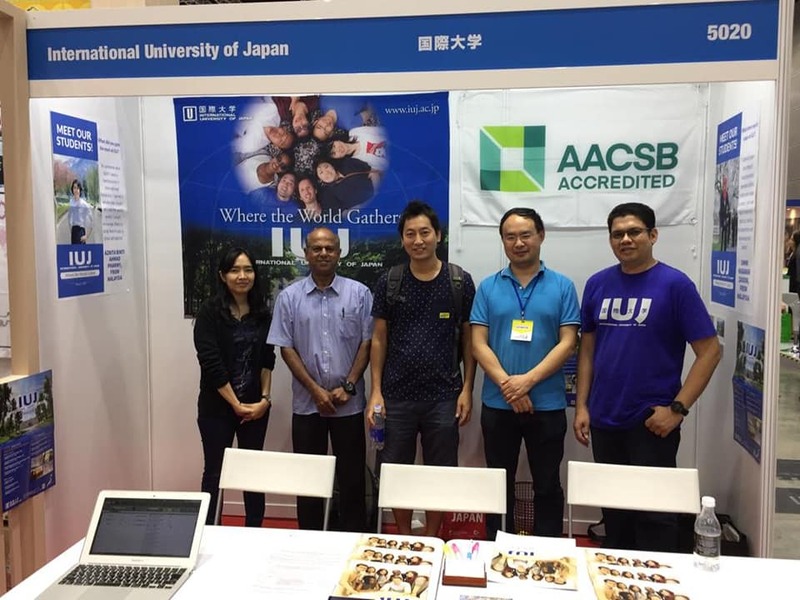 IUJ continues to expand its degree programs and is becoming recognized globally as a leading academic institution. By helping to support current and future generations of IUJ students, we hope our annual donation helps to enrich student life, and make all alumni proud to be part of the IUJ family. The ThANKS Fund provides monthly stipends to students contributing to campus through their leadership. 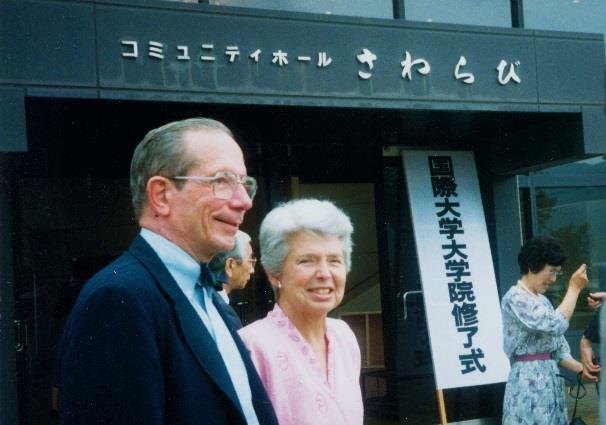 It honors IUJ founding father, Sohei Nakayama: The Alumni NaKayama Scholarship Fund. 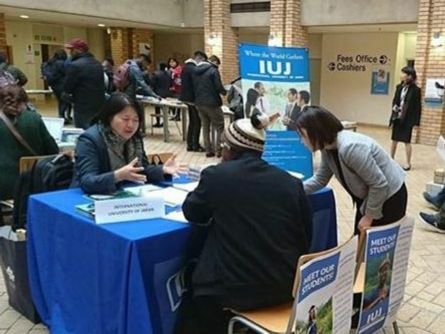 Donating to IUJ from overseas is easier than ever! Please consider a donation to IUJ for the ThANKS Fund (Overseas or in Japan), or through the Furusato Nozei system (in Japan). Now, those outside of Japan can take advantage of a new system to make a safe and secure donation to IUJ, in your own currency, and avoid bank and currency transaction fees! IUJ has partnered with Flywire to streamline international donations. With Flywire, you can donate online, securely from any country and any bank, typically in your home currency. Through the Flywire system, you can use PayPal, major credit cards or a bank account to make your donation! Or, those outside of Japan, please go directly to the IUJ Flywire info site. Please choose Flywire, and indicate ThANKS Fund donations. Thank you! The students that receive your ThANKS Fund donation in the form of a stipend too, will thank you! Interested in running in the “Gourmet Marathon”? 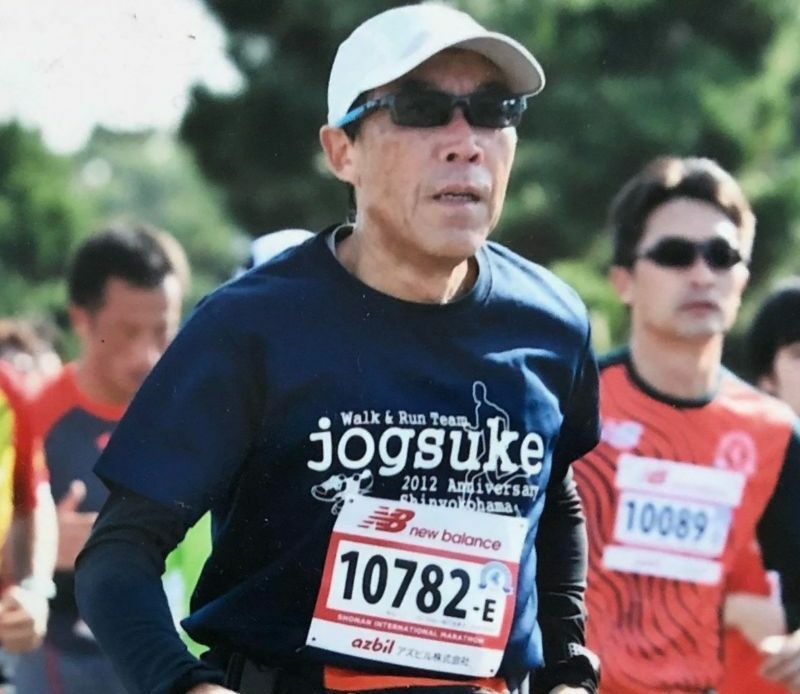 Now in its 10th year, the Gourmet Marathon features a running course that goes through the Minami Uonuma valley just after the rice has been planted. With amazing views of Hakkai-san, the course eventually winds through campus, passing under the shady Sakura Lane, and by the IUJ Dorms. Students, caped in country flags and banging pots and pans with wooden spoons (it is a gourmet marathon after all!) will cheer you on, offering cold drinks and even a hose for a shower to refresh you and help you get to the finish line! 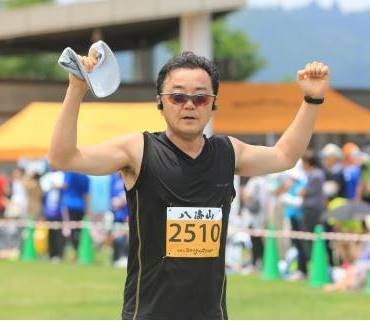 At the finish line, be rewarded with a rice bowl, and delicious Koshihikari rice and local Niigata delights! Over 5000 people participate in the 1/2 marathon or 1/8th marathon (5K) run. And this year they are adding a 1/4th marathon (just over 10K) to celebrate the 10th anniversary of the event. Registration opens on February 15, and may fill up fast! If you are able to register, be sure to tell campus you are coming so we can plan an alumni BBQ that evening to celebrate your achievements, and do a little networking. Similarly, hotels fill up fast, so make your reservations early! Don’t want to run? Come help us cheer! They kindly provide information on options for hotels and Inns as well. 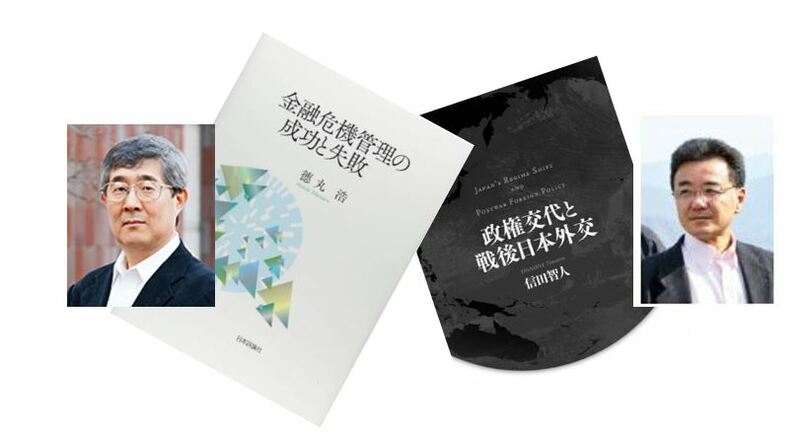 Copyright © 2019 International University of Japan, All rights reserved.